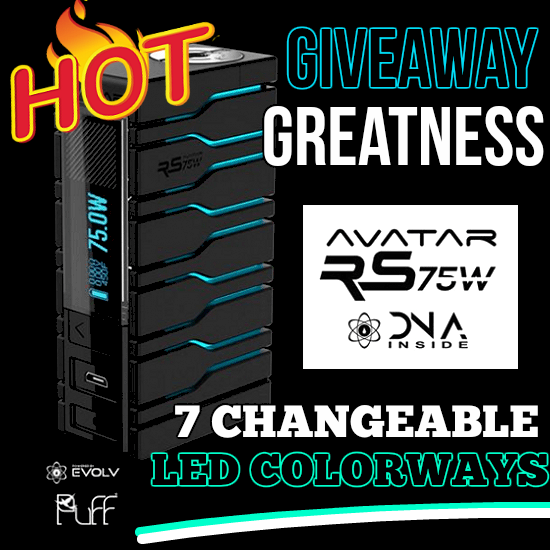 SUPER SPECIAL GIVEAWAY - AVATAR RS 75W DNA MOD! MISS IT AND WEEP FOR DAYS - SO DON'T MISS IT! 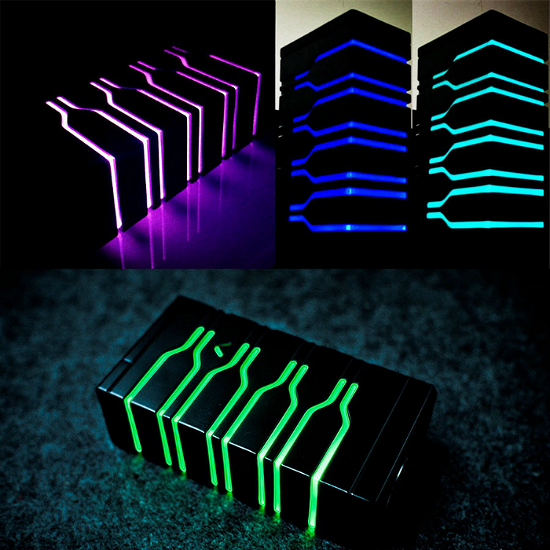 The winner of the lottery #1169 for SUPER SPECIAL GIVEAWAY - AVATAR RS 75W DNA MOD! was Tammy J. Castillo from San Diego, USA on Feb 3, 2019.
:) SHOW SOME APPRECIATION :) Please click here to visit our sponsor, ANTITPD.COM - they sell 100mg nicotine base in 250 and 1000ml bottles and send worldwide! From the birthplace of the Renaissance comes a classic case of shut up and take my money. From Italy with love, ladies and gentlemen, we proudly present the AVATAR RS! Puff has outdone itself yet again with this one. 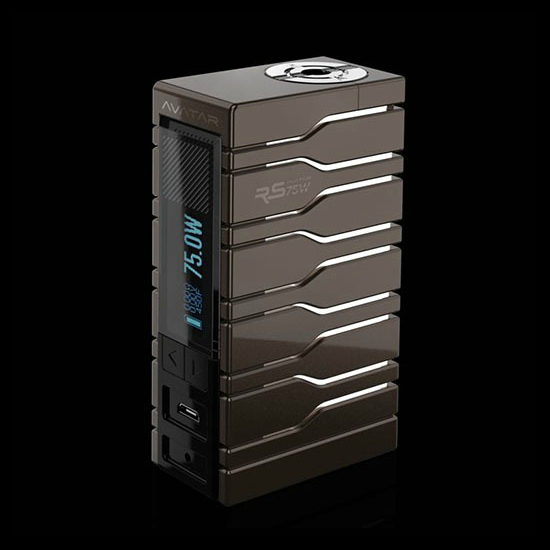 A single-18650 powered device equipped with Evolv's world famous upgradeable DNA chipset, the AVATAR RS can put out 75 watts of raw power to satisfy the overwhelming majority of vapers out there. Yes, the Evolv DNA chip is fantastic, yes the device is loaded with features and technology that can fly you to the moon but Puff being an Italian company, they did not stop there. On the contrary, it is apparent they pushed the envelope as hard as possible and went to absolute extremes to achieve visual appeal like no other. 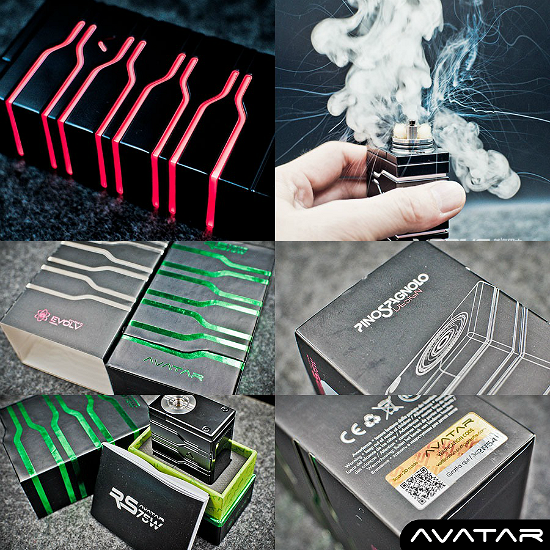 Without any exaggeration, we can easily and rightfully say the AVATAR RS boasts one of the most attractive outer designs in the vaping world, bar none. • Please click here to download EScribe (select the file named "SetupES.exe"). • Watch the interactive EScribe training course; click here. Top class in performance and style - often claimed, rarely true but it definitely applies here. The vape - 100%. The look - 100%. The social magnet factor - beyond measure!